polenta Last year I was on a work trip in Phoenix with some of my closest friends. And, yes it was a work trip. I just happened to be working with some super fun people. Just one of the many reasons I love my job. I work with some of my best friends and I get to eat awesome food. Doing what food bloggers do best, we went out for dinner to Federal Pizza. As an appetizer, we ordered polenta fries with romesco sauce. It was my first time trying polenta fries and they were everything. Polenta fries are literally creamy delicious polenta you can eat with your hands because it’s encased in a crispy crunchy shell. 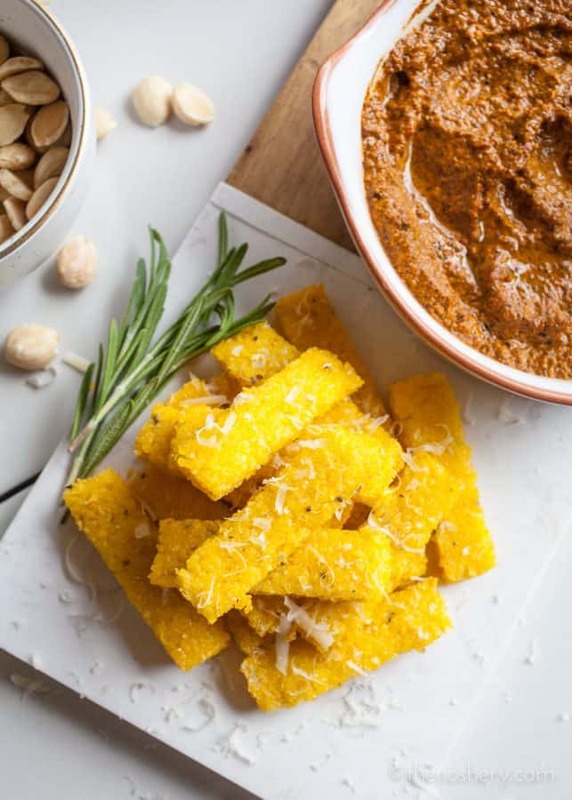 Now you too can have creamy cheesy crispy polenta fries with romesco sauce! I know that is a lot of adjectives but every one of them is justified. 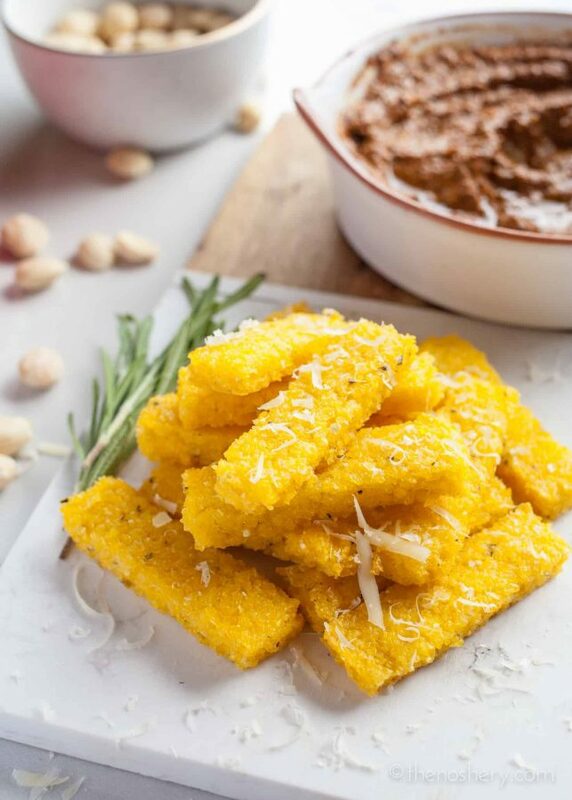 Creamy polenta sets and is baked in the oven until crispy making for deliciously addictive polenta fries. Enjoy these on the side or as a satisfying appetizer. In a heavy medium saucepan combine stock, water, polenta, herbs, and 1 teaspoon salt and bring to a boil over medium heat, whisking. Reduce heat to medium-low and cook, stirring constantly, until polenta begins to pull away from the side of the pan, 15 to 20 minutes. Add cheese and heavy cream and mix until well combined, transfer polenta to the prepared baking dish, spreading evenly with a dampened rubber spatula. Chill, uncovered, until set, about 45 minutes. Unmold polenta and cut into 16 4 x 1-inch sticks. Brush tops with oil and space evenly on baking sheet. Broil about 4 inches from heat until golden, 15 to 20 minutes. Serve warm and crispy with romesco sauce. 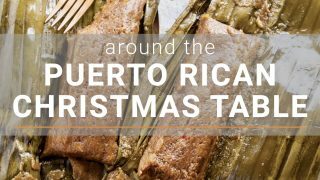 Sounds similar to surrullitos with no frying. Those fries were the best weren’t they?? These look just like them! ? ?